Today Finland got a new president. His name is Sauli Niinistö from the National Coalition Party (Kokoomus) and for that occasion there was a flag day in the whole country. Finns actually find a lot of occasions for flagging. You might have realized that if you have been spending some time here already. Here some things you should know about the Finnish flag days. 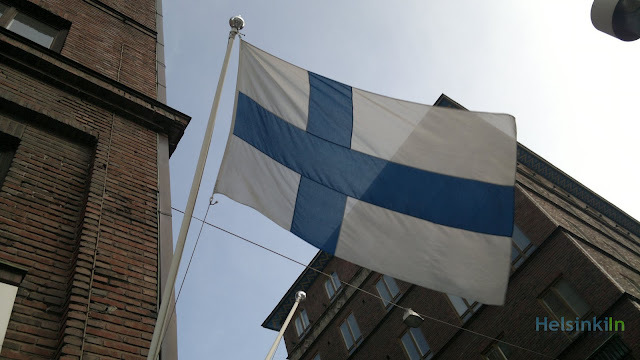 Occasions for flagging can be birthdays of great writers, composers or other Finnish heroes. But also on other holydays and political events like elections or the inauguration of the president (as today) are worth hissing the flag. 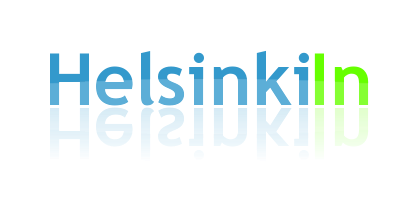 Here you find a list of all of Finland’s flag days. Every building has its own flag pole and has to organize that the flag is hissed on the official flag days. Usually the flag is then flown from 8 am till sunset. There are exceptions e.g. at Midsummer. The correct usage of the Finnish flag is even defined by law. According to it the flag is to be treated respectfully. The flag must not be dirty or damaged and never touch the ground. Otherwise it has to be burned or cut into small pieces (that make it impossible to recognize it as part of a flag). Violating this law can lead to a fine. All those regulations sound quite strict. Especially for me coming from Germany. I am not sure if there ever has been a fine for not using the flag correctly. But anyway it is quite interesting to know about this law I think.